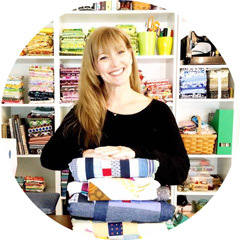 instead, i'll tell you briefly that i'm Rachael, the crafty lady behind the world-famous blog imagine gnats. well, kind of... i do write that blog. world-famous? well, who wants that anyway? i mean, having to keep wigs and sunglasses and fake mustaches in your purse at all times in case you should need a disguise because you can't possibly discuss all of the many things one could make with just two fat quarters (ahem, like this pillow) one more time... that just sounds very tiring. 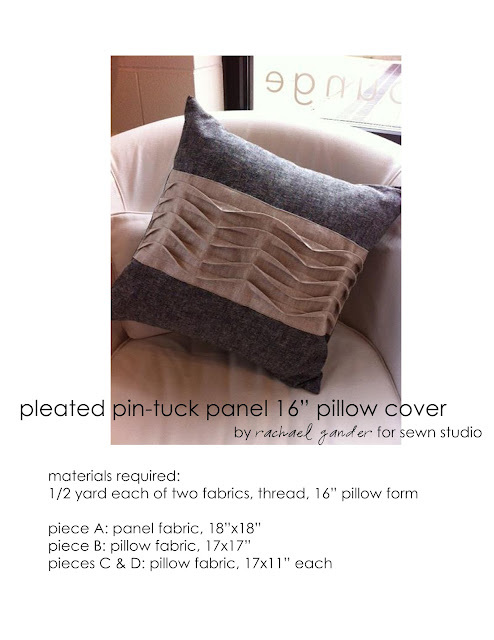 moving on, i recently taught a class at the very lovely sewn studio (my "real job" if playing with fabric all day can even be called that) and today i'm sharing with you the tutorial for a pleated pin-tuck panel pillow (say that five times fast!). you can see the great pillows that my students whipped up here. 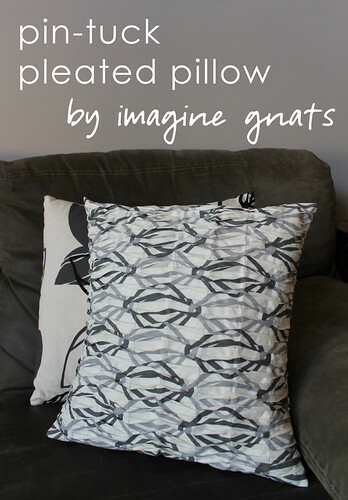 the pin-tucked panel of this pillow was also the inspiration for this pleated pin-tuck pillow (you can find that tutorial here). i've put the instructions for the paneled pillow into a handy pdf that you can download here. 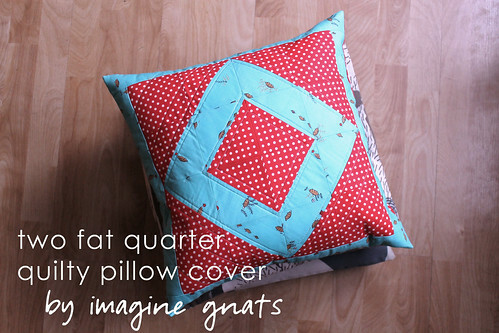 if you stitch up one of your own, i'd love to see it shared in the imagine gnats flickr group! now i'm off to design a new pillow that somehow incorporates ice packs so that i can sleep at night when it's eighty-some degrees in our currently non-air conditioned house. bleugh! and have you heard about shorts on the line?? make sure you stop by imagine gnats this week to check out all of the fabulous guest posts! i'd love to see you there.